B.A., J.D., Cand. Jur., Dr.jur. Professor Emeritus Joseph Lookofsky is a native of New York, USA. After admission to the New York State Bar, he began his professional career as in-house legal counsel for United Artists Corporation. Lookofsky came to Denmark in 1973, studied Danish law, and joined the University Law Faculty in 1981. He defended his doctoral (dr.jur.) thesis (Consequential Damages in Comparative Context) in 1989 and was appointed to a chair in the Law of Obligations in 1992. 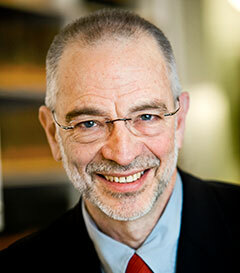 In 2007 Professor Lookofsky was knighted (Ridder af Dannebrogsordenen) by Queen Margrethe of Denmark. Lookofsky's more than 100 published works (in Danish and English) cover such topics as Danish contracts and sales law, international contracts and sales, private international law, comparative commercial law and international commercial arbitration. Professor Lookofsky is Secretary-General of the Danish Committee for Comparative Law and a Titular Member of the International Association of Comparative Law (Académie internationale de droit comparé). He also serves as an arbitrator in international commercial disputes. Understanding the CISG, Fifth (Worldwide) Edition & Updated By Joseph Lookofsky. Read this book to know all the important details. Get your copy now! Convention on Contracts for the International Sales of Goods (CISG), 2nd edition. Read this book to know all the important details. Buy Now!